Films for every movie buff are not mere pastime or an activity just for fun – these buffs spend a whole lot of time and effort watching, evaluating, criticizing, and building opinion on movies. 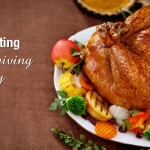 This effort is taken quite seriously as can be seen at Film Festivals and award functions like the Oscars. 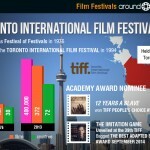 Held every September in Toronto, Ontario, Canada, the Toronto International Film Festival has a worldwide reputation for generating Oscar buzz. 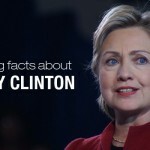 The high-profile event lasts 11 days and premieres many major films each year, and has over 1,200 member of the press in attendance. Founded in 1976, the first event was the Festival of Festivals, and had an audience of 35,000, screening 127 films from 30 countries. 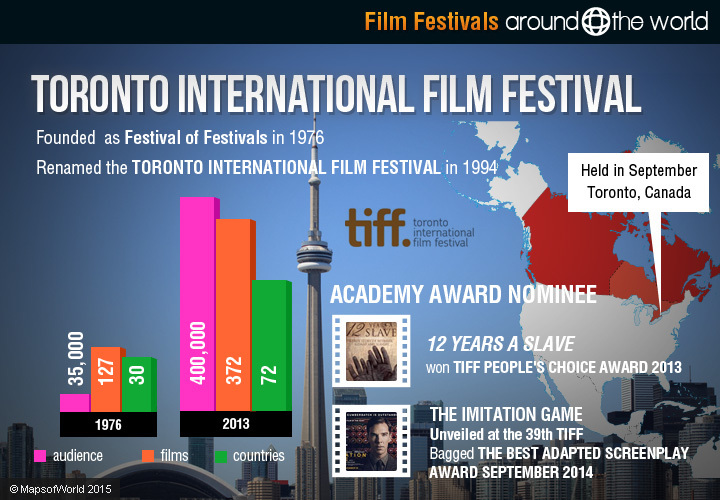 It was renamed the Toronto International Film Festival in 1994. The festival has grown from its initial screenings to today having an audience of over 400,000, featuring 372 films from 72 countries. The event is non-competitive and has no official jury, but the award given each year is the People’s Choice Award, for the top feature film voted by the audience. *The King’s Speech won 4 Oscars after winning the Tiff People’s Choice Award in 2010. *Silver Linings Playbook premiered at TIFF in 2012, winning the TIFF People’s Choice Award. The film went on to be nominated for the Big Five Oscars, winning critical acclaim and many awards. 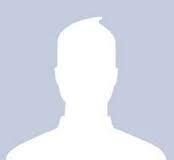 *Academy Award Nominee 12 Years a Slave won the 2013 TIFF People’s Choice Award. *Six-time Academy Award Nominee Dallas Buyers Club premiered at the Toronto International Film Festival. The Imitation Game, which was unveiled at the 39th Toronto International Film Festival in September 2014, bagged the Academy Award for best adapted screenplay. 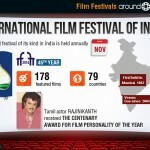 Now in its 45th year, the International Film Festival of India was first held in January 1952 in Mumbai. After becoming a competitive event in its 3rd edition, in 1965, the festival has been held in Madras, Delhi, Calcutta, and Trivandrum. Since 2004, the International Film Festival of India has been held annually in Goa, India each November. 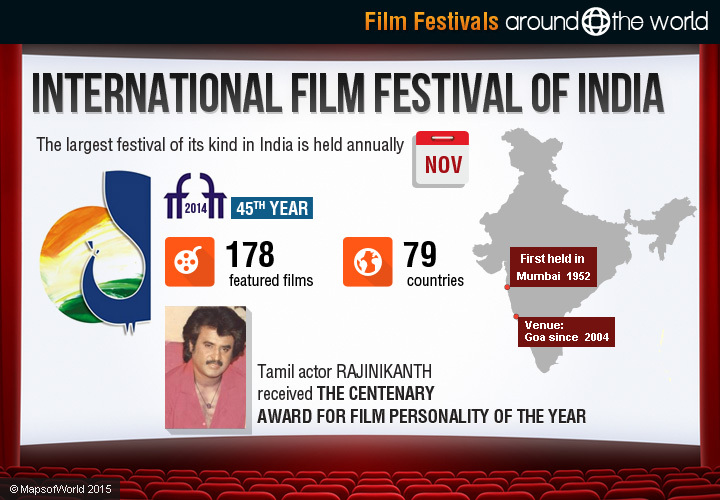 The largest festival of its kind in India, the 2014 edition of the International Film Festival of India featured 178 films from 79 countries. * Tamil actor Rajinikanth received the Centenary award for Film personality of the Year. 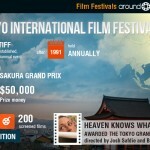 The Tokyo International Film Festival was established in 1985 and held biannually until 1991. 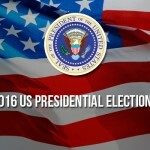 Since 1991, the event has been held annually over about 9 days, most recently occurring in October. In 2014, the Tokyo International Film Festival held its 27th edition. The event, which was organized from October 23 to 31, screened around 200 films. The top award at the Tokyo International Film Festival is the Tokyo Sakura Grand Prix, which is given (along with $50,000) to the best film. 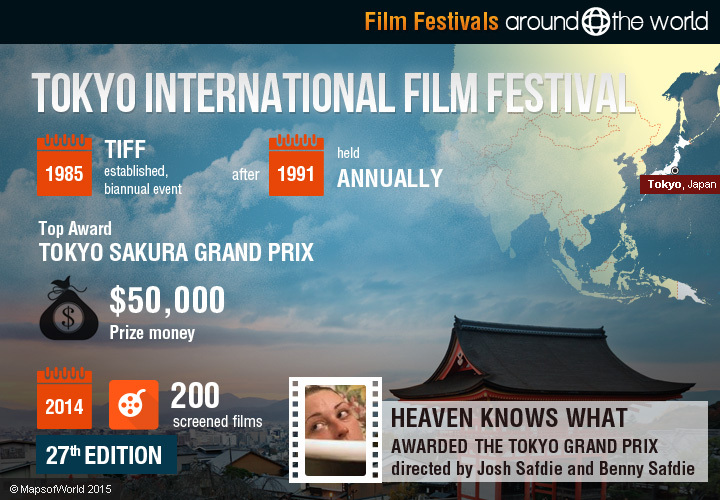 In 2014, the Tokyo Grand Prix was awarded to “Heaven Knows What,” directed by Josh Safdie and Benny Safdie. 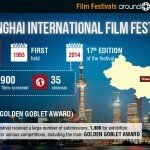 First held in 1993, the Shanghai International Film Festival is now held each June. The top prize of the festival is the Jin Jue (Golden Goblet), awarded for best film. The festival showcases Chinese films as well as international films. 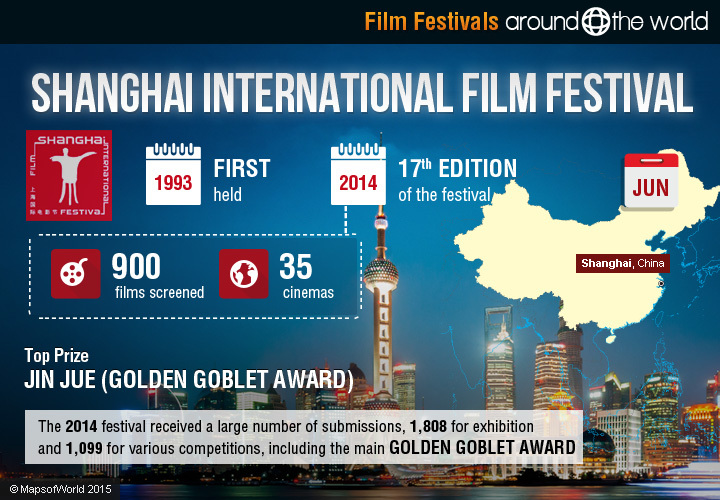 For the festival’s 17th edition in 2014, nearly 900 films were screened in 35 cinemas across Shanghai. The 2014 festival received a large number of submissions, 1,808 for exhibition and 1,099 for various competitions, including the main Golden Goblet award. 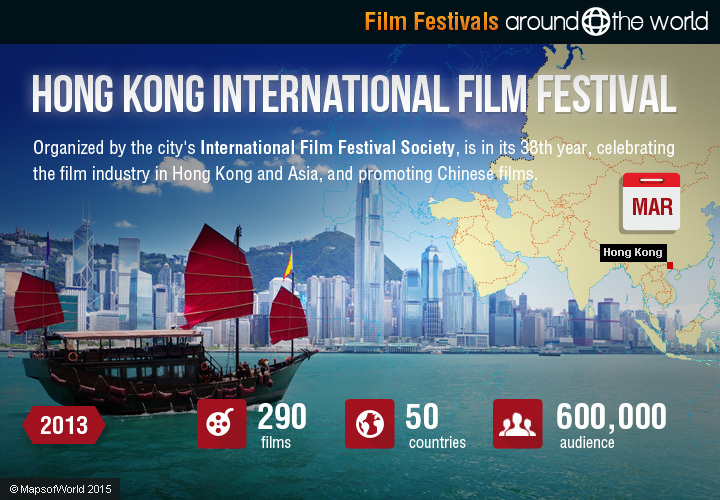 The Hong Kong International Film Festival, organized by the city’s International Film Festival Society, is in its 38th year, celebrating the film industry in Hong Kong and Asia, and promoting Chinese films. 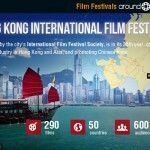 Taking place each Spring, the 37th Hong Kong International Film Festival screened over 290 films from 50 countries, across 11 venues around Hong Kong. 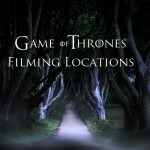 The event includes seminars and discussions as well as the film screenings, and boasts an audience of about 600,000. The festival presents a total of 9 awards in 5 categories: Young Cinema, Documentary, Short Film, FIPRESCI, and SIGNIS. Awards are presented and revealed at the Awards Gala at the end of the festival, and top awards include the Firebird Awards for Young Cinema, Documentary, and Short Film. Some consider the Cannes Film Festival the most prestigious film festival in the world. The invitation-only event, known locally as Festival de Cannes, is held in Cannes, France each Spring at the Festivals et des Congres. 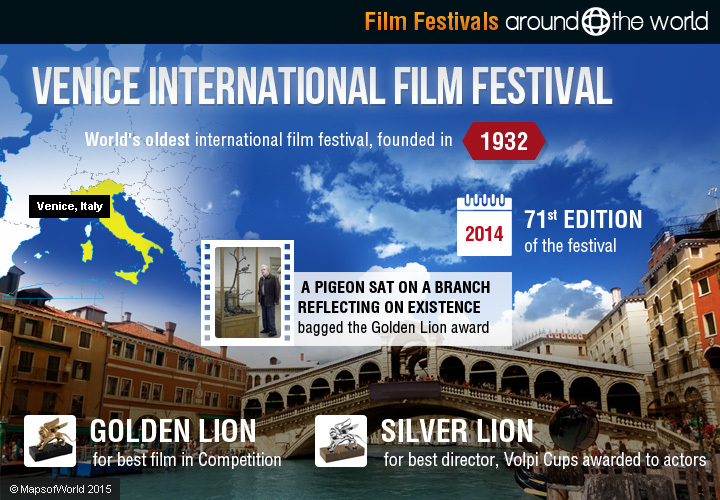 The first festival was held in 1947 with films from 16 countries. Since 1955, the Palme d’Or (Golden Palm) has been the top award at the festival, awarded to the best film in the Competition category. About 20 films compete in the category, and others are selected for the other categories, such as Un Certain Regard, which features 20 films with an international scope. The 67th annual Cannes Film Festival was held from May 14 to 25, 2014. New Zealand film director Jane Campion was the head of the jury for the main competition section. 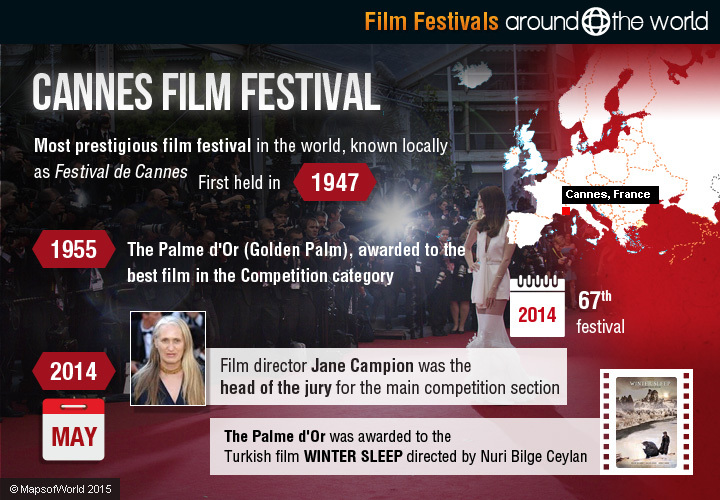 The Palme d’Or was awarded to the Turkish film Winter Sleep directed by Nuri Bilge Ceylan. Known as the Berlinale, the Berlin International Film Festival showcases European and other international films of every genre. The festival was founded in 1951, and has been held each February since 1978, and just held its 65th edition in early February. 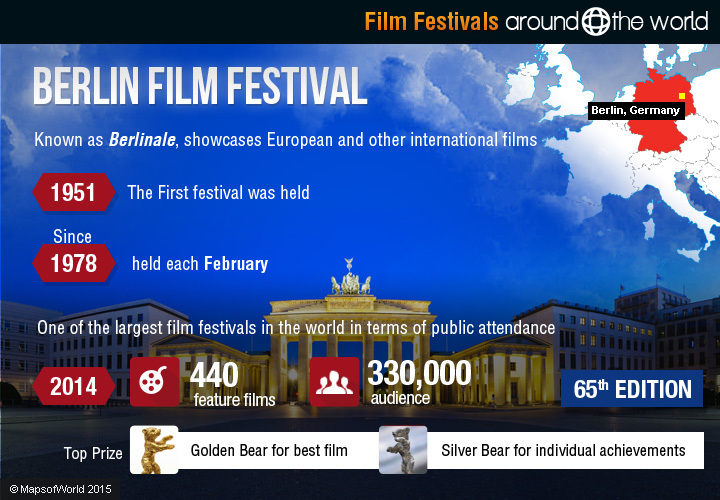 The Berlin Film Festival is one of the largest film festivals in the world in terms of public attendance. 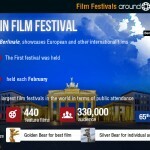 440 films were screened at the 65th Berlin International Film Festival. 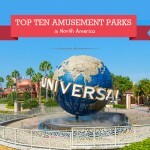 It witnessed around 330,000 ticket-sales. The top prize is the Golden Bear, for best film in the Competition section, with Silver Bears awarded for individual achievements like best actor and best director. 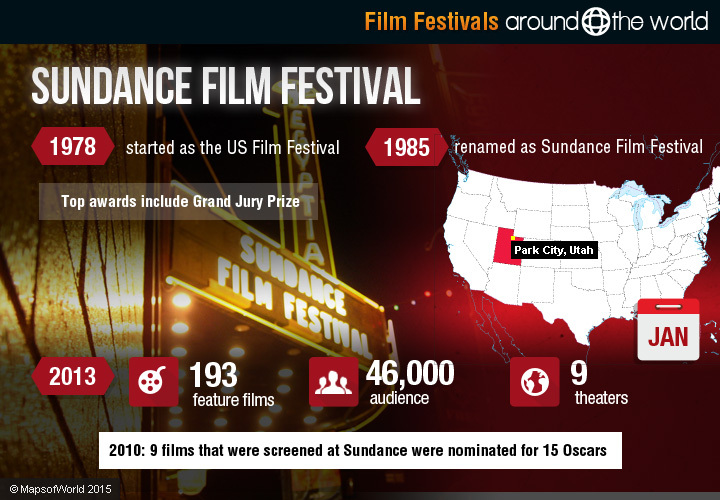 Sundance Film Festival is held each January in Park City, Utah, lasting about 10 days. 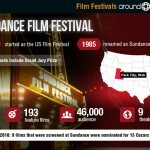 Beginning as the US Film Festival in 1978, Sundance Institute, an organization that supports emerging artists and independent films, took over the festival in 1985. 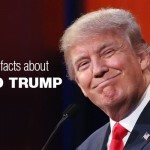 The name was changed to Sundance Film Festival, and with the help of Robert Redford as chairman, the festival was expanded to become one of the top film events in the world. In 1985, 86 films were screened in 2 theaters. 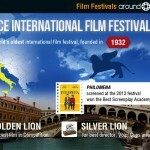 Sundance Film Festival has evolved over the years, adding new categories such as short films and world documentaries. In 2013, 193 films were screened in 9 theaters to an audience of almost 46,000. In 2014, 186 films were shown in 9 theaters. 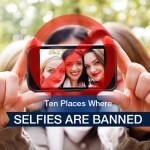 Top awards include Grand Jury Prize, for films in the Dramatic and Documentary Competitions. *In 2010, 9 films that were screened at Sundance were nominated for 15 Oscars, including 4 out of 5 Best Documentary nominees. The BFI London Film Festival is the largest film festival in the UK, held in London each October. 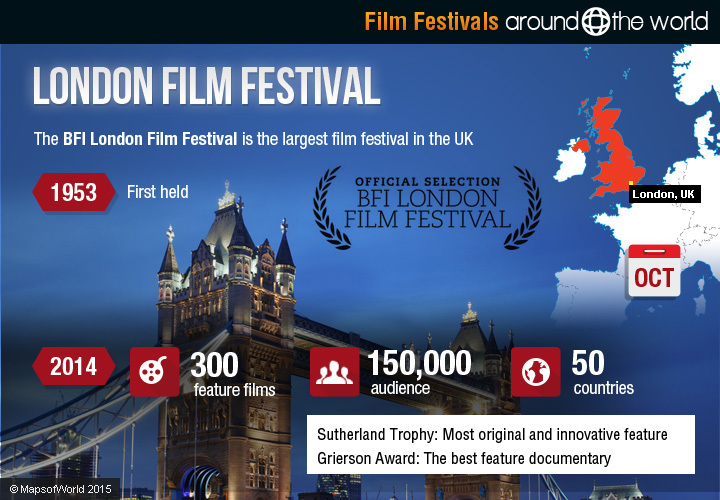 Founded in 1953, 2014 will be the London Film Festival’s 58th edition. 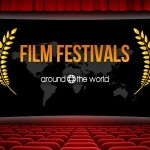 Today, the festival features about 300 films from about 50 countries, with an audience of 150,000. 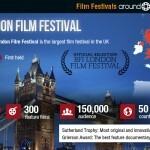 Top awards at the London Film Festival include the Sutherland Trophy, awarded to the most original and innovative feature, and the Grierson Award, granted to the best feature documentary. 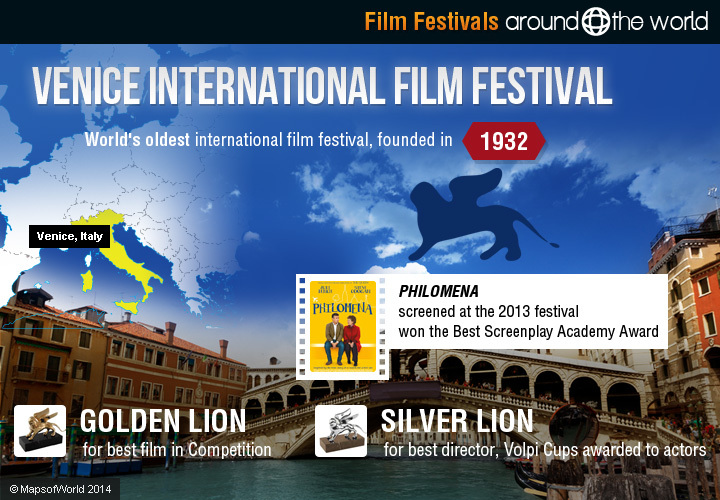 The world’s oldest international film festival, Venice Film Festival was founded in 1932 as an exposition of international films. Part of the Venice Biennlae, the Venice International Film Festival is held each year in late summer, and had its 71st edition in 2014. 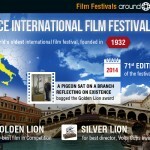 Top awards at the Venice Film Festival are the Golden Lion (since 1949), for best film in Competition, as well as Silver Lion for best director, Volpi Cups awarded to actors, and the Special Jury Prize. Under the rule of Mussolini (1934-1942), the top award was the Mussolini Cup. Roy Andersson’s ‘A Pigeon Sat on a Branch Reflecting on Existence’ bagged the Golden Lion award at the 71st film festival, while Joshua Oppenheimer’s ‘The Look of Silence was runner up’. Beginning in Moscow in 1935, the Moscow International Film Festival has been held regularly since 1959 and annually since 1995. The 2014 festival was held in June and was the 36th edition. 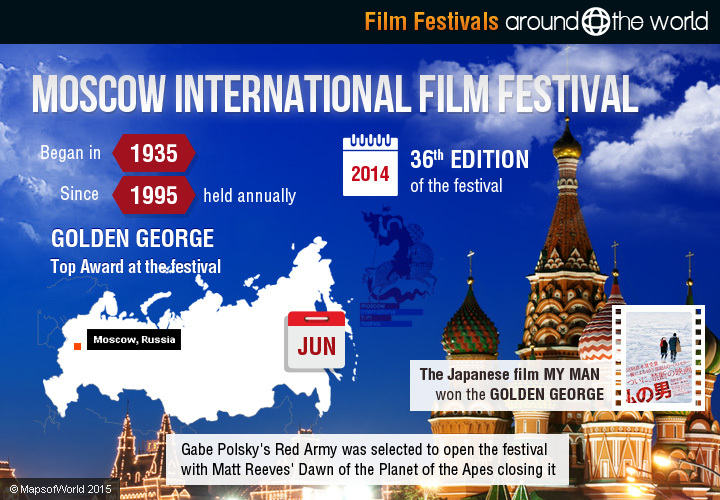 Gabe Polsky’s Red Army was selected to open the festival with Matt Reeves’ Dawn of the Planet of the Apes closing it. The Japanese film My Man won the Golden George. 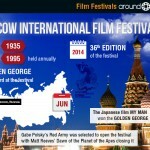 The top award at the Moscow International Film Festival is the Golden George, which was the Golden Saint George until 2004, and has previously been called the Golden Prize and the Grand Prix. The main competition of 2013 featured 16 titles. Held each March in Guadalajara, Mexico, the Guadalajara International Film Festival has been held annually since 1986, and has become the most prestigious film festival in Latin America. Also known as the Festival Internacional de Cine en Guadalajara (FICG), the event features mainly Spanish language films, from Mexican and international filmmakers. 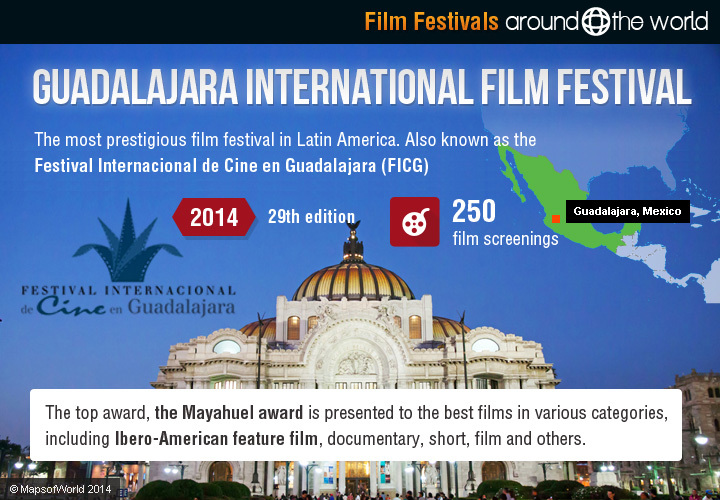 2014 will be the 29th edition of the Guadalajara International Film Festival. The program features 250 film screenings. 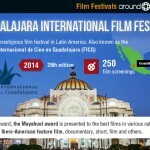 The top award, the Mayahuel award is presented to the best films in various categories, including Ibero-American feature film, documentary, short, film and others. The Panafrican Film Festival of Ouagadougou is the largest film festival in Africa, held every other year for two weeks March in Burkina Faso. The festival features films created by Africans, and primarily those filmed and produced in Africa. FESPACO fosters relationships across Africa and supports the creative contributions of artists around the continent. The Panafrican Film Festival was started in 1969, beginning with 5 African nations (Burkina Faso, Cameroon, Ivory Coast, Niger, Senegal), as well as France and the Netherlands, with 23 films in all. The next festival in 1970 included 9 African nations (like Algeria, Tunisia, Guinea, Mali, Ghana) with 40 films. FESPACO is internationally recognized and presents the Étalon de Yennenga (Stallion of Yennenga) award to the film demonstrating “Africa’s realities,” while other awards include the Oumarou Ganda Prize for best first film and the Paul Robeson Prize for best film by African diaspora director. Brazil’s capital, Rio de Janeiro, is home to the annual Festival do Rio, held each Fall for about two weeks in September and October. 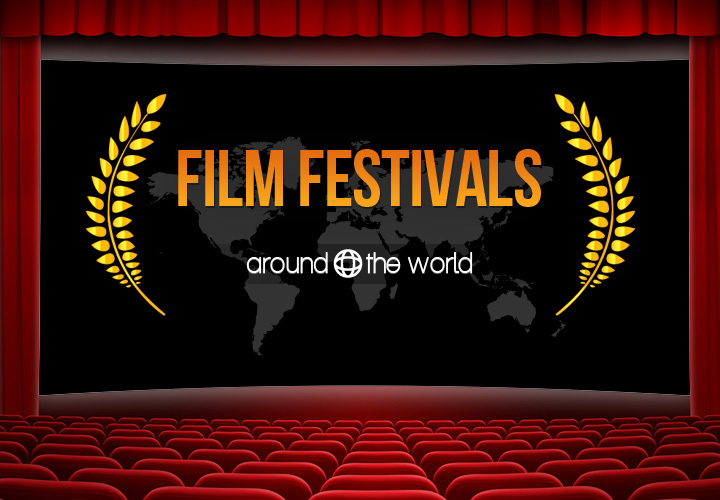 The festival was founded in 1999, and has become one of the biggest film festivals in South America. 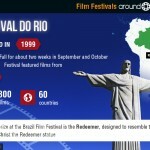 The 2014 Festival do Rio featured nearly 300 new or historically important films from 60 countries. 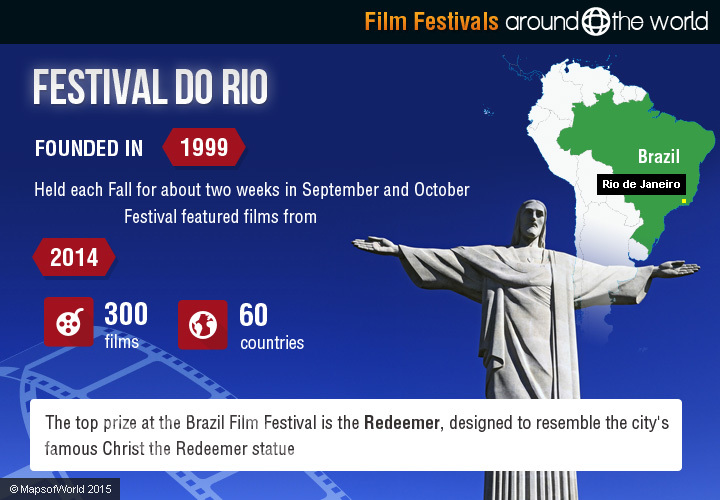 The top prize at the Brazil Film Festival is the Redeemer, designed to resemble the city’s famous Christ the Redeemer statue. Three audience awards are presented to the best short film, documentary, and feature film. 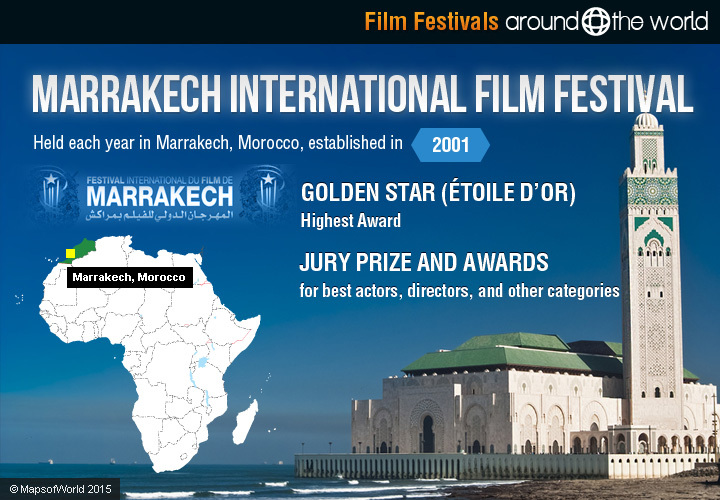 Held each year in Marrakech, Morocco, the Marrakech International Film Festival was established in 2001 to support emerging artists from Morocco and around Africa, and to celebrate films around the world. 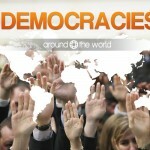 The event is chaired by Prince Moulay Rachid. Its 13th edition featured director Martin Scorsese as jury president, who presented the top awards. 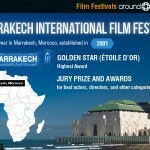 The highest award at the Marrakech International Film Festival is the Golden Star (Étoile d’Or), with 15 films in competition. Other prizes include the Jury Prize and awards for best actors, directors, and other categories, including the Cinecoles Short Film Prize. 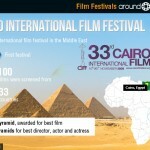 Founded in 1976, the Cairo International Film Festival is the first international film festival in the Middle East. 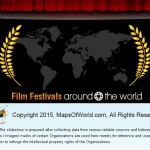 In the first festival in 1976, 100 films were screened from 33 countries. 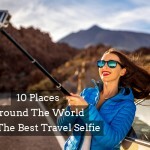 The competition section included 14 films from as many countries. 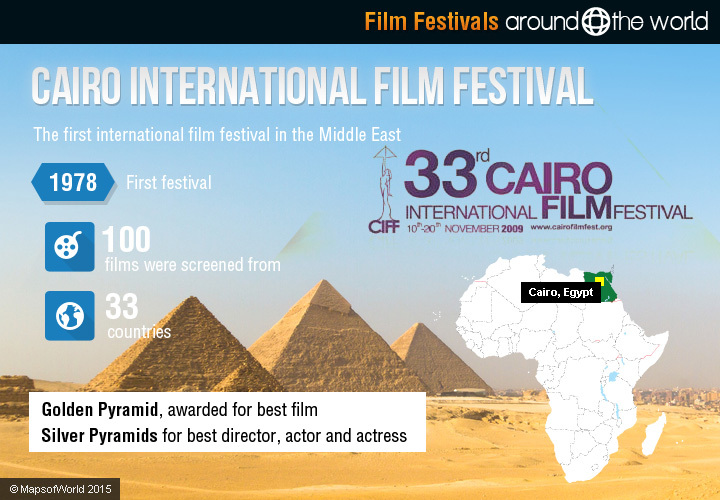 Top awards at the Cairo International Film Festival include the Golden Pyramid, awarded for best film, and Silver Pyramids for best director, actor and actress, screenplay, and best artistic contribution. A special prize is given to top regional film, with the Best Arab Film Award.